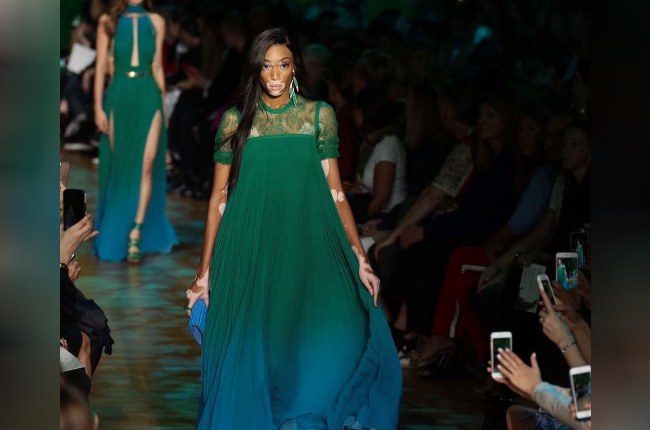 Canadian darling, Winnie Harlow, looked stunning in her lace maxi gown by top Lebanese designer Elie Saab for his SS18 fashion presentation during Paris Fashion Week. The supermodel never fails to effortlessly grab everyone’s attention and have all eyes glued to her. Saab choosing Harlow as his model is a clear message to all of us that we are all beautiful and that we can accomplish anything. WE SAID THIS: The model, who is 5ft 9in, was diagnosed with vitiligo around the age of four, making her among 1% of the population who has the condition — a true inspiration.